Health conscious people naturally want to know if drinking distilled water is safe and if it has any benefits. Before arriving at any conclusions, here are some facts you should know. In simple terms, distillation means boiling water. Afterwards it is re-condensed. Set in a new container minus the contaminants, the water has been purified. Purification in this instance means removing electrolytes and minerals. Its advocates say that the process ensures the water is healthy to drink. Because impurities are removed, the taste is also improved. Some people in fact drink it only for the taste. Its proponents also say that the distilling process makes it purer. Compared with ordinary water, drinking distilled water will rejuvenate your body more effectively. It helps the body because it eliminates toxins. Because it’s in pure form, all the contaminants in the system will be removed efficiently. Those opposed to it say the process also removes the elements the body needs. Distillation doesn’t just remove the bad minerals; it also eliminates the necessary ones. There’s no proof that purified water causes harm. But a study by the WHO (World Health Organization) shows that drinking natural water helps fight some diseases. While this study has been supported by others, the benefits from drinking distilled water have yet to be fully verified. There’s no doubting that most sold in the market are clean. But whether it gives the benefits claimed is still open to question. While most say it tastes better, others dispute the assertion. 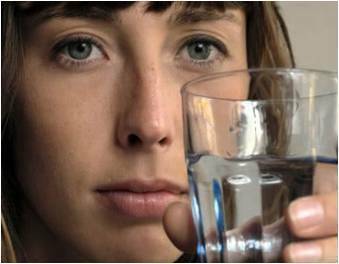 Those against distilled water point to other potential health risks that may arise. Minerals are used by the body to digest food. A majority come from water we drink. If the minerals aren’t there, stomach problems may come up. Using distilled water on foods takes away their nutrients. Vegetables in particular lose their potency. Most distillation processes remove electrolytes from water. This element is needed by the body. Without it, people will be susceptible to dehydration. its removal of essential minerals. Apart from indigestion, lack of minerals makes one susceptible to diseases. These include osteoarthritis, high blood pressure and hyperthyroidism. Those who consume distilled water say there are no side effects. Whatever supposed illnesses come fro it aren’t dr4ived from facts. According to its regular drinkers, it is very safe. If you’re not sure, the best solution would be a filter for your tap water. Those that use a granular carbon filter and media block is very effective. It can remove most of the negative elements but still retain the essential minerals. The issue of drinking distilled water will only be resolved with medical research. Until that time, it’s best to just use a water filter. While the water itself isn’t likely to kill you, not getting those minerals may weaken your body eventually.